Welcome back and Hi, Nancy Hill for The Rubber Buggy Design Team. I have a project or card to share with you each Saturday for The Rubber Buggy and hope you are enjoying my site. The Rubber Buggy has great customer service and fast delivery. 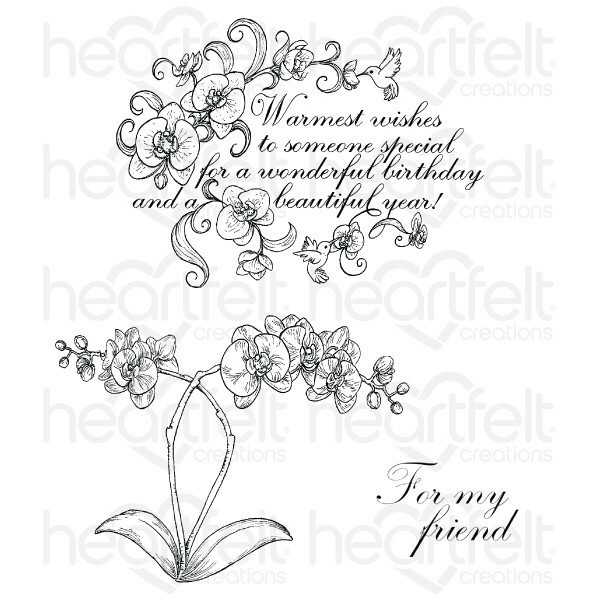 I have a birthday card made with Heartfelt Creations collections all from The Rubber Buggy on-line store. My card measures 6 1/4" x 6 1/4". 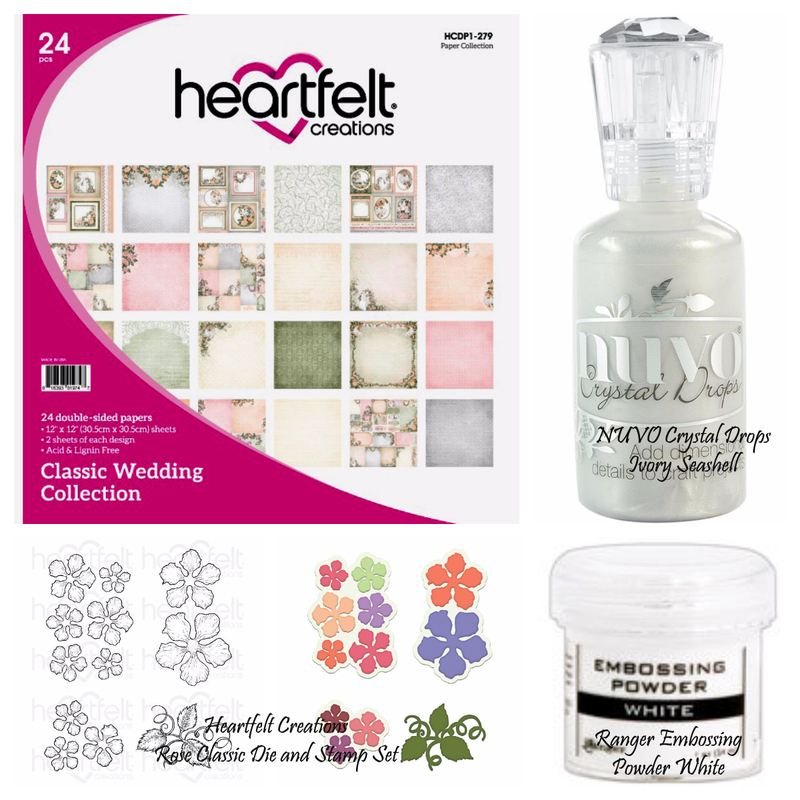 I made the Heartfelt Creations roses using the Ranger white embossing powder and vellum. 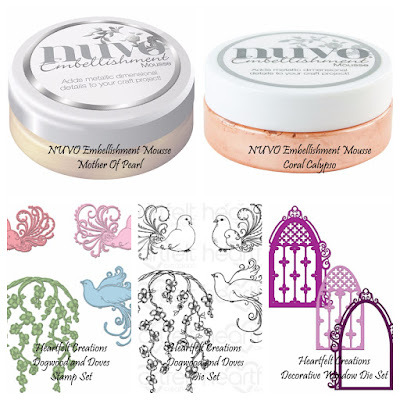 Before molding and shaping the petals for my roses, I used my fingers to apply on the back of each petal the NUVO Embellishment Mousse- Coral Calypso and NUVO Embellishment Mousse - Mother of Pearl. 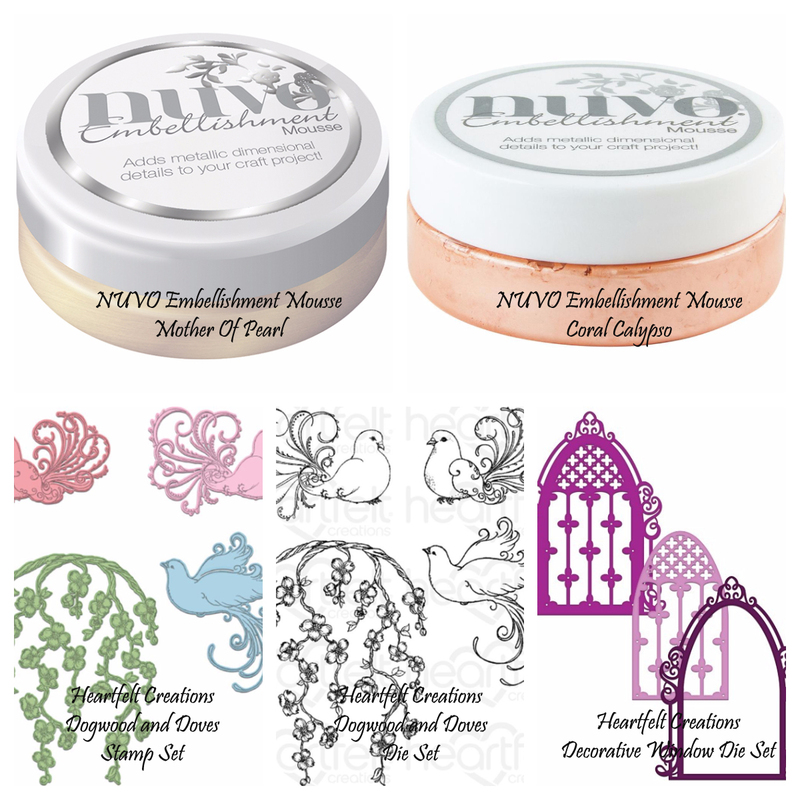 I just love how the NUVO Mousse colors matched the roses in the patterned paper and how lacy the roses appear with the white embossing powder on the vellum. I struggled using glue for the vellum flowers so I used a hot glue gun to assemble the roses. I plan to have a tutorial on how to do these roses within the next few weeks after harvest is over. 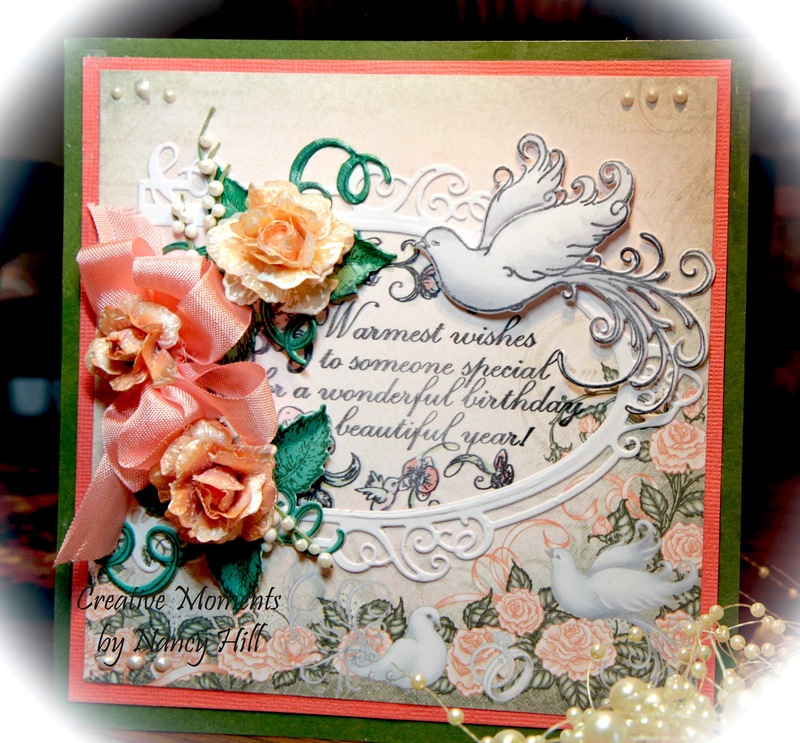 I adhered the roses to the rose vine in the Heartfelt Creations Classic Rose stamp and die set. The gorgeous patterned paper is from the Heartfelt Creations Classic Wedding Collection Paper and the beautiful birds are found in the Heartfelt Creations Dogwood and Dove stamp and die set. I colored the dove's breast with a light lavender Copic marker. I adhere the dove using 3D foam adhesive tape onto the Heartfelt Creations Botanic Window die that was cut with white card stock. I added a coral seam binding bow and used the 1/2" Scor-Pal Tape which is double sided to adhere to the card. I applied three drops of the NUVO to each corner of the card. If you don't have the NUVO in your supplies, I would suggest you purchase this and from The Rubber Buggy. This is my favorite of all of the NUVO Crystal Drops and it makes a perfect flat back pearl every time.